The PMW-200 is the first handheld camera in its class to be equipped with three large, newly developed 1/2-inch Exmor CMOS sensors, which provide excellent sensitivity and depth of field characteristics. Each of the sensors has an effective pixel count of two million pixels and achieves Full HD 1920x 1080 shooting without pixel interpolation. By placing multiple A/D converters in parallel, it has also been possible to reduce the speed of the operating clock and lower power consumption. The 14x Fujinon high quality lens has auto focus and image stabilising functions, with an exceptionally flexible control system, which gives the operator the ability to operate the focus manually.The independent control of each ring of the lens –focus, zoom and iris – makes for better and faster adjustment. It also makes the system more accurate when setting because of the ‘stop’ function of each of the rings. Optical SteadyShot is activated by the electric lens shift mechanism. 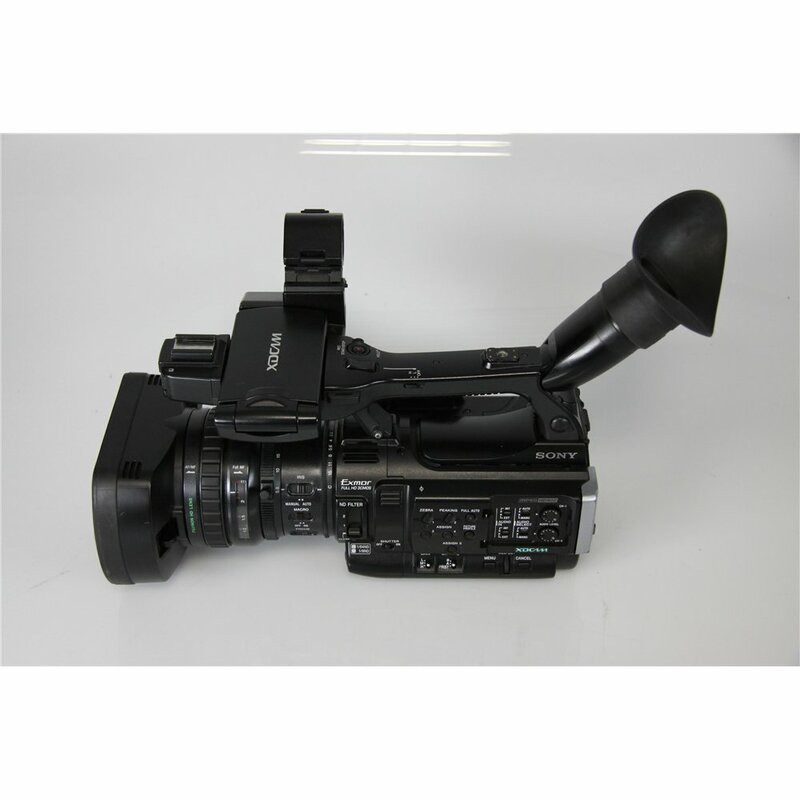 The camcorder’s 3.5-type LCD panel also helps the precise manual focus operation.The central part of the shooting frame (854 x480) can be magnified on the LCD panel and the viewfinder. The function is automatically cancelled five seconds after the focus ring is no longer in use.You can also select the peaking level in the menu and also choose the colour for the peaking signal on the LCD and viewfinder. The PMW-200 supports MPEG HD 422 50 Mbps in MXF, which is widely accepted by major broadcasters worldwide. HD 422 gives a high quality image with more detailed colour reproduction, as well as being ideal for chromakeying. 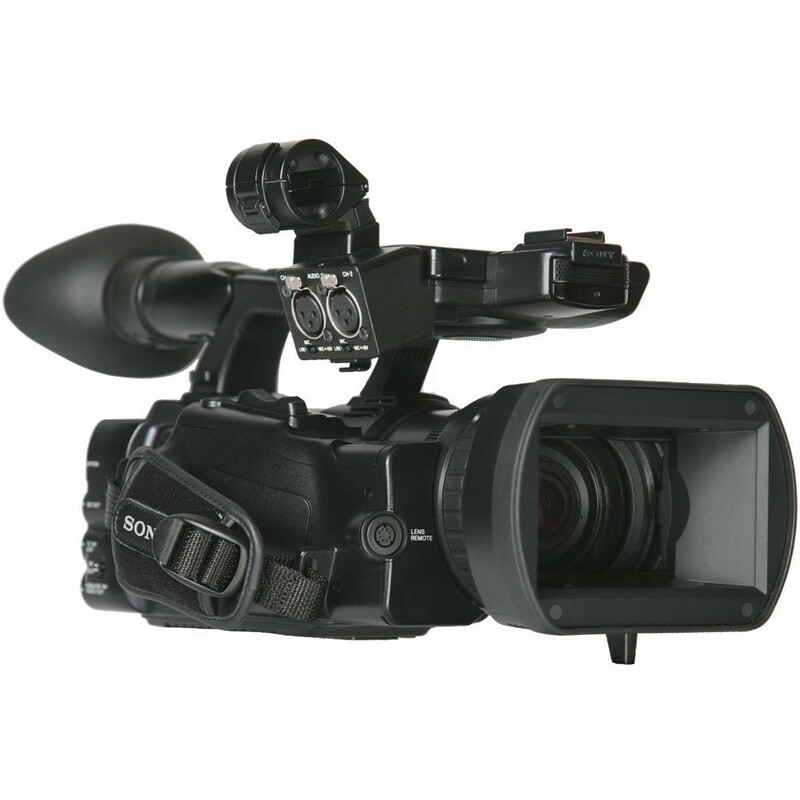 It’s also compatible with other XDCAM HD 422 camcorders, including the PMW-500 and the PMW-100, which streamlines workflow and reduces time in the edit. As well as shooting at HD 422 50 Mbps, the camcorderalso supports MPEG HD 420 in MP4 file format, which is compatible with XDCAM EX camcorders and DVCAM at 25 Mbps.The file format is also selectable between MP4 (FAT) or MXF(UDF) in HD and AVI (FAT) or MXF (UDF) in SD. Apple iPads or Android mobile devices can be used as simple remote controllers. By attaching the optional CBK-WA01 WiFi adaptor, the remote can control zoom, focus, iris and white balance as well as the recording functions such as recording trigger. Multiple clips can be recorded as a single clip making the ingest operation to a NLE easy. 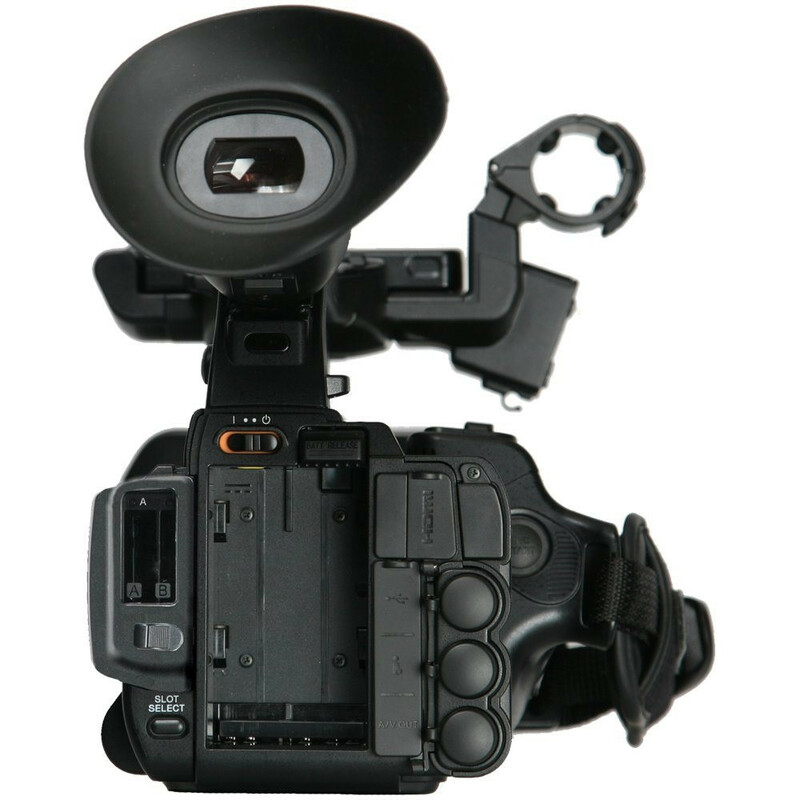 Slow motion shooting is possible with up to 60 frames per second (fps) recording in 720P or 30 fps recording in 1080P, when used with the SxS Pro or SxS-1 memory card.Quick motion can be obtained by slowing the frame rate down to 1 fps. Utilising a 15 second cache recording function, the PMW-200 can help prevent the loss of important scenes or events that occur up to 15 seconds before the camera's REC start button is pressed. There are two SxS Memory Card slots, which allows for around four hours of continuous recording, with two hours of HD 422 50 Mbps recorded on each 64GB SxS Memory Card. Content can be copied between the two slots.The PMW-200 can use either SxS Pro or SxS-1 cards. It will also accept consumer recording media, including memory stick, SD card and XDQ card with an appropriate adaptor for emergency use. The camcorder has a genlockIn and timecode In /Out interface so that it can link together with other cameras. 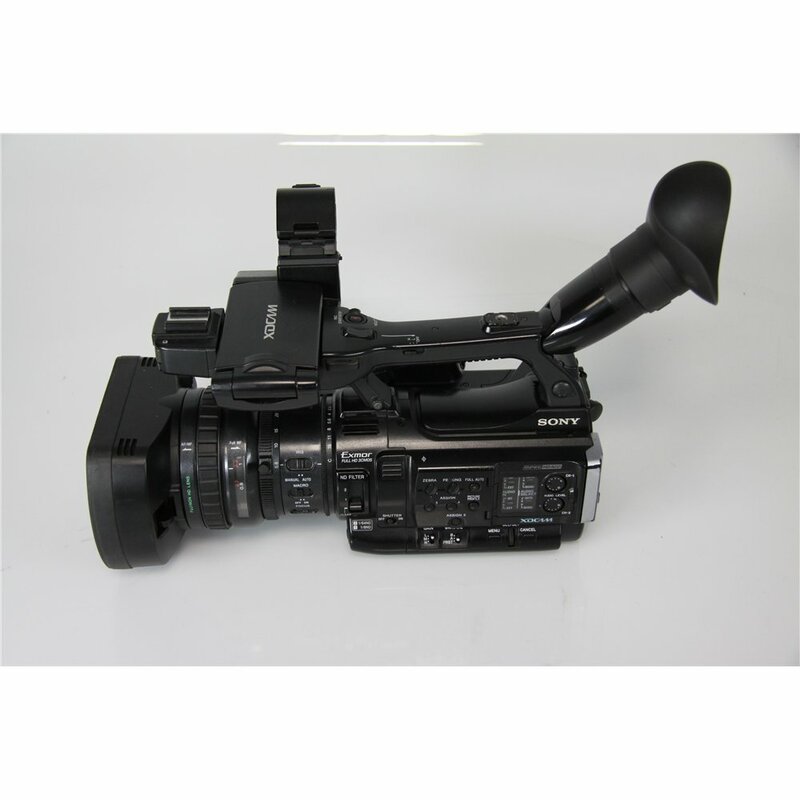 The function makes the camcorder a cost effective alternative for use in multi camera event shoots. In Full Auto mode the iris, gain and electric shutter are conveniently controlled automatically in combination to get the right exposure level. 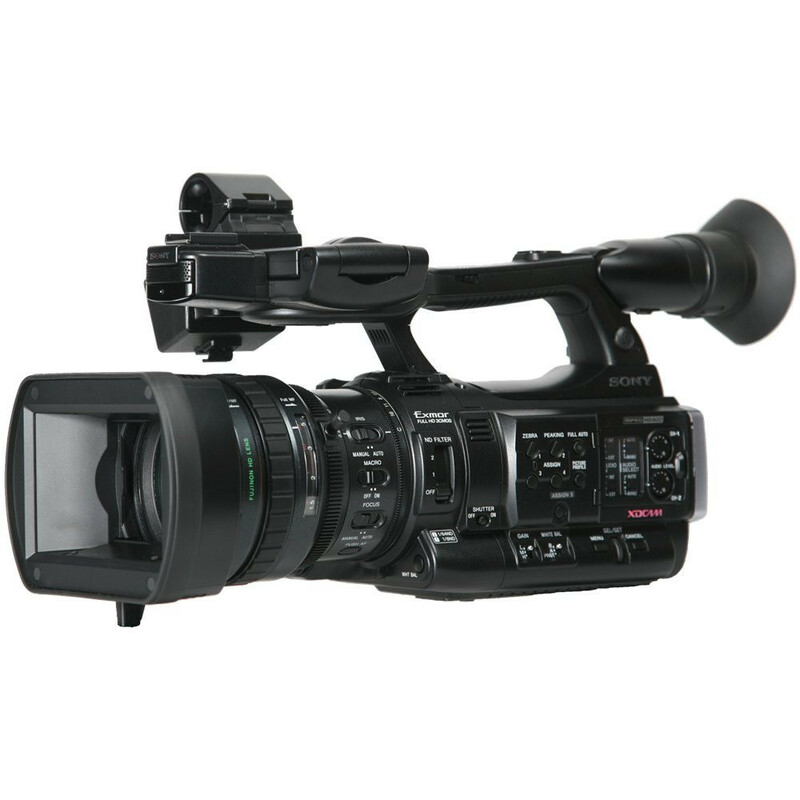 The PMW-200 has an SDI interface so that it can connect with professional equipment including a monitor, recorder and switcher. It’s also possible to down-convert from HD to SD. There is also an HDMI interface making it possible to link to consumer products, such as a suitableHDTV or projector. The PMW-200 can be connected to a PC or Mac using the USB interface. Around four hours of operation is possible with a mid-sized BP-U60 battery. A BP-U 30 or BP-U90 can also be used. There are five assign buttons on the PMW-200 to allow the operator to choose a range of functions to automatically assign. 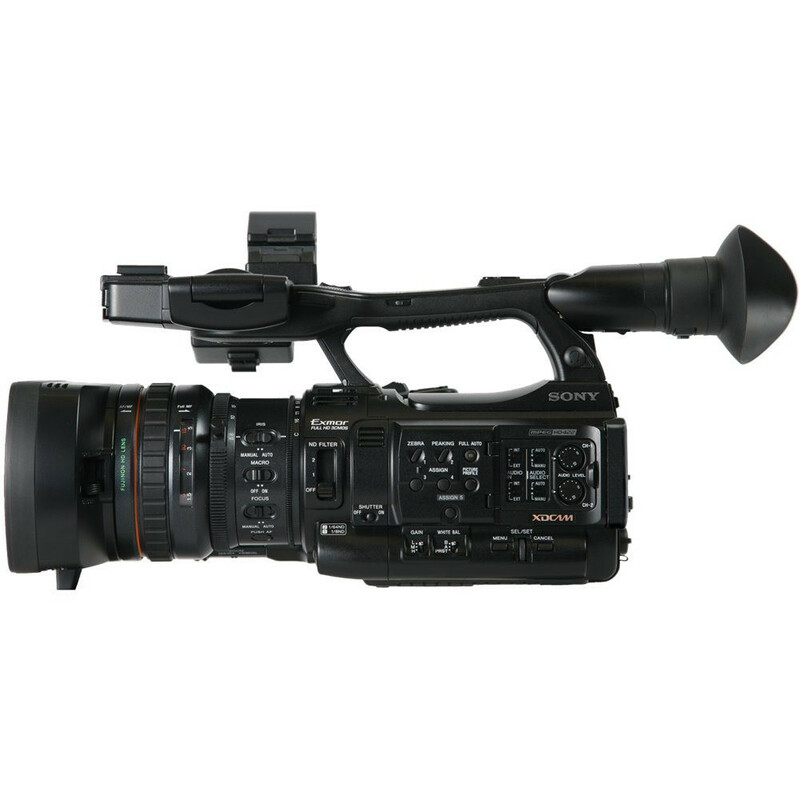 The PMW-200 also has a menu function that is the same as the PMW-100 and consists of camera set, audio set, video set, LCD/VF set, TC/UB set and others.The output signal from the PMW-200 can also be selected depending on the menu setting. If the camera power is turned on while pushing a REC button, the ‘Quick Rec’ mode is activated. By accelerating the power on process, the camcorder can start up and begin recording more quickly than normal.